FC Cincinnati's dramatic Lamar Hunt U.S. Open Cup run has come to an end. The New York Red Bulls of Major League Soccer (MLS) defeated the home side 3-2 in overtime Tuesday night in the Open Cup semi-finals. FC Cincinnati started the scoring with a goal by Corben Bone in the 31st minute. Captain Austin Berry notched a second in the 62nd minute. The Red Bulls came alive after that scoring two goals and forcing the game into overtime. Bradley Wright Phillips scored the game winner for New York in the 101st minute. 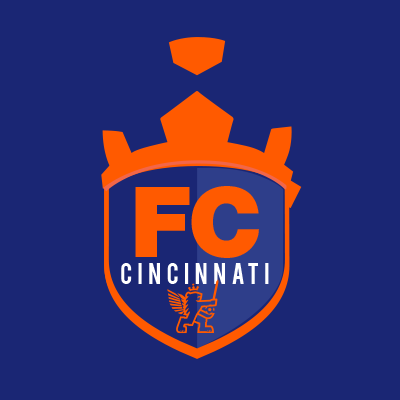 FC Fan: "It's Just So Cool To See It Taking Off In Cincinnati"
As veteran soccer fan Pat Cullen looked for a shirt at the FC Cincinnati store downtown he talked about how excited he is that the team is drawing in people who didn't follow the sport. "Tonight's obviously a big deal; Final four. Gotta go show your support. Cincinnati has backed them so hard and so fast it's fun to be a part of. I think it's exploding everywhere but it's just cool to see it taking off in Cincinnati." Didn't get a ticket to FC Cincinnati's sold-out U.S. Open Cup semi-final match Tuesday? You can see it on TV. WSTR-TV (Channel 64) will broadcast the match with the New York Red Bulls live from University of Cincinnati's Nippert Stadium at 8 p.m. Tuesday, Aug. 15, and stream at fccincinnat.com/match-stream. This week the parents of an 8-year-old boy who committed suicide filed a wrongful death suit against Cincinnati Public Schools. Cincinnati City Council approved the controversial expansion of Children’s Hospital Medical Center in Avondale. 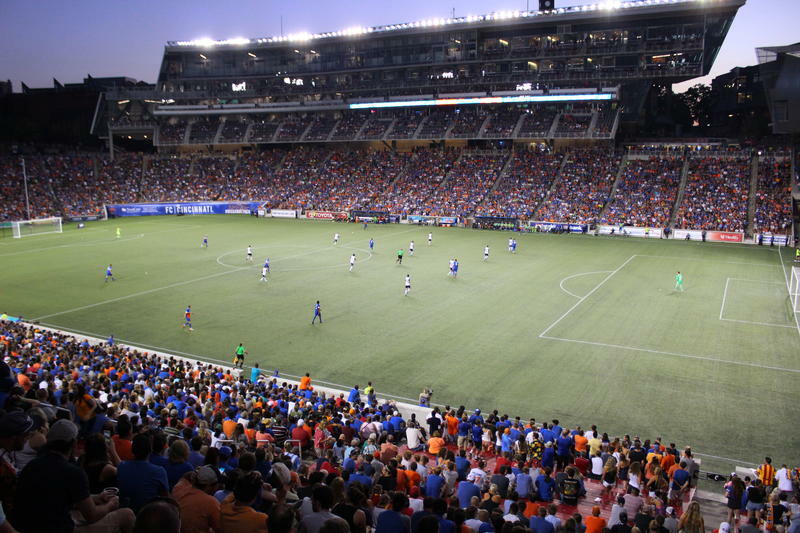 FC Cincinnati continues to attract sell-out crowds and still hopes to build a new stadium. And Bruce Willis is back in town filming his next movie. 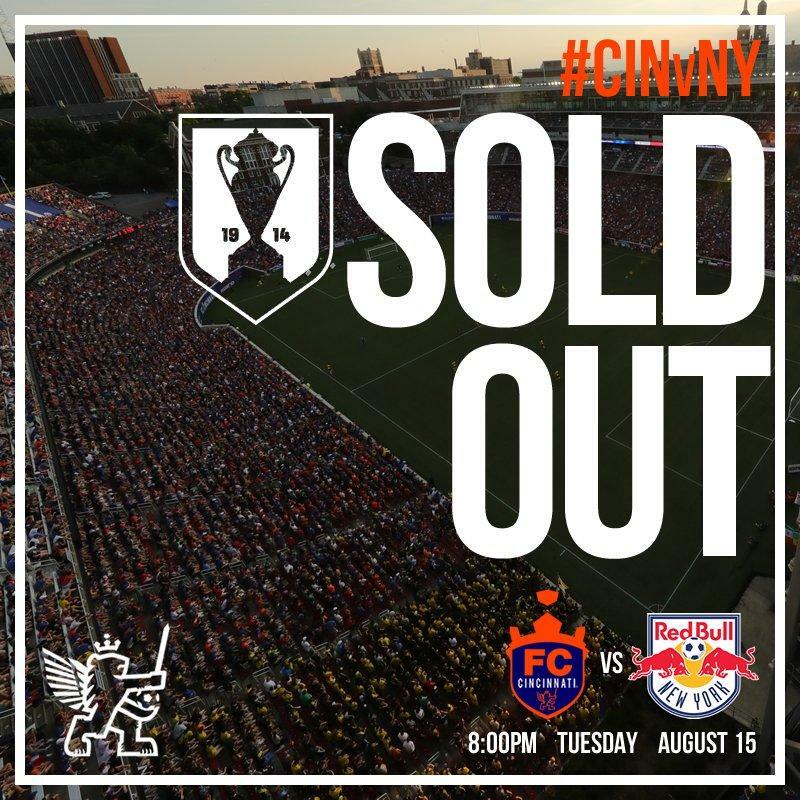 Nippert Stadium will be packed next Tuesday night when FC Cincinnati takes on the New York Red Bulls of Major League Soccer in the semi-finals of the Lamar Hunt U.S. Open Cup. 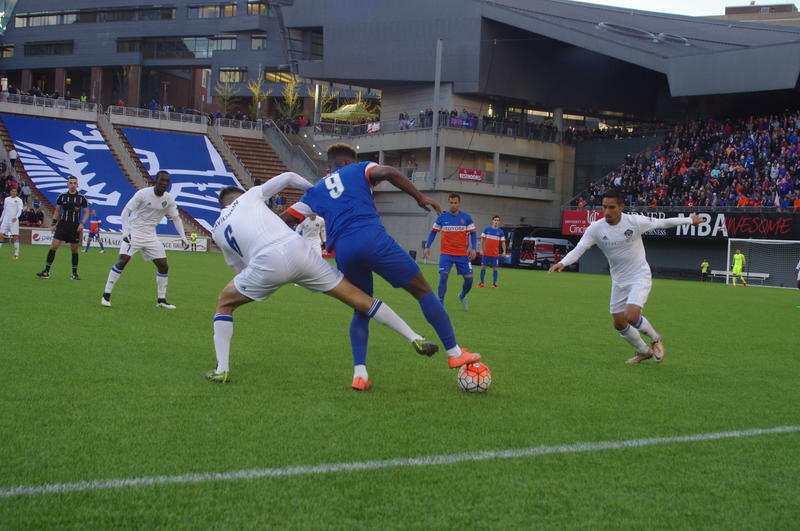 Soccer club FC Cincinnati defeated Miami FC Wednesday night to advance to the semi-finals of the U.S. Open Cup. 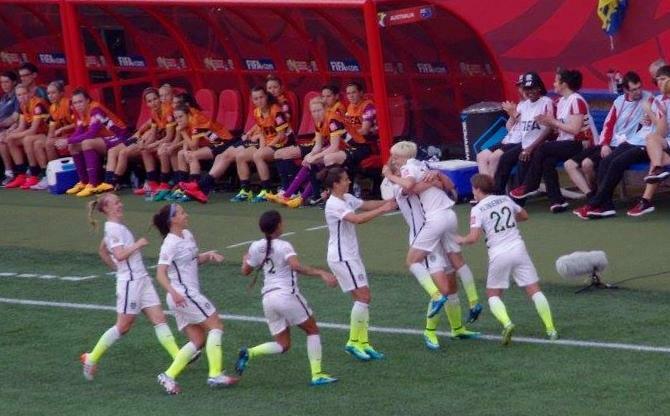 The final score was 1-nil off a 68th minute goal from Djiby Fall at Riccardo Silva Stadium in Miami. 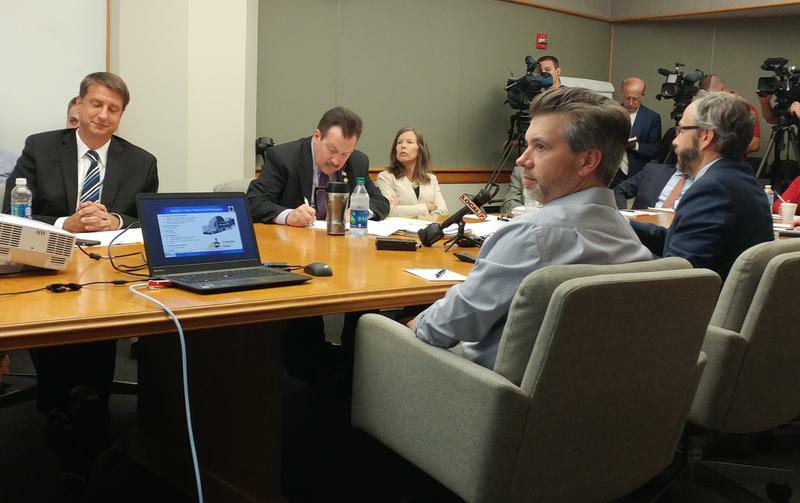 Hamilton County Commissioners are looking at whether the county can afford to contribute to two proposed sports venues. FC Cincinnati wants a new soccer stadium and US Bank Arena's owners are planning renovations to that facility. The U.S. Women's National Soccer Team (USWNT) will play the New Zealand National Team in a friendly in Cincinnati on Tuesday, Sept. 19. Upstart soccer team FC Cincinnati continues to thrill fans and draw record crowds. More than 32,000 - 32,287 to be exact - turned out Wednesday night to watch the second-tier United Soccer League (USL) side take on the Chicago Fire of Major League Soccer (MLS) in the Lamar Hunt U.S. Open Cup Round of 16. Maybe you've heard her on the national "Bob & Tom" radio show, or seen her at NBA Indiana Pacers games in Indianapolis. Soon you'll see Vanessa Richardson on WLWT-TV's "News 5 Today." The Wyoming High School graduate imprisoned in North Korea has been in a coma for 15 months. We're following Otto Warmbier's release and his condition. 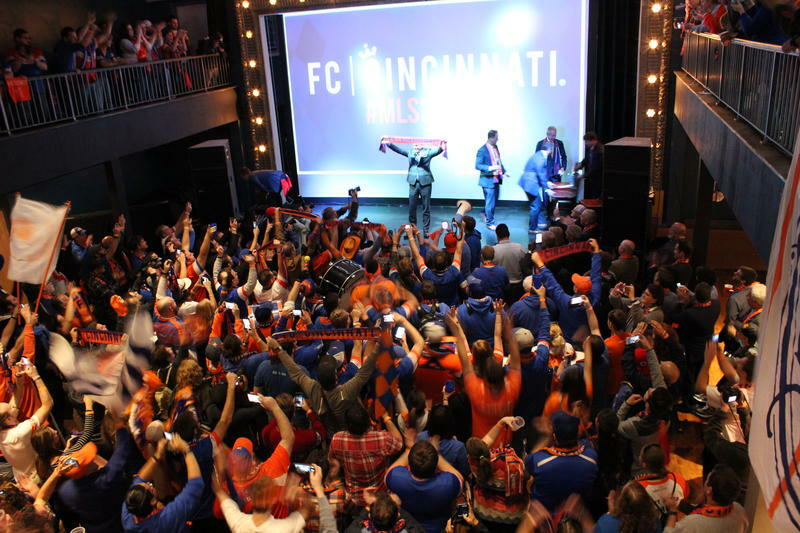 Plus, FC Cincinnati wants a stadium. We'll talk about how much it could cost taxpayers. 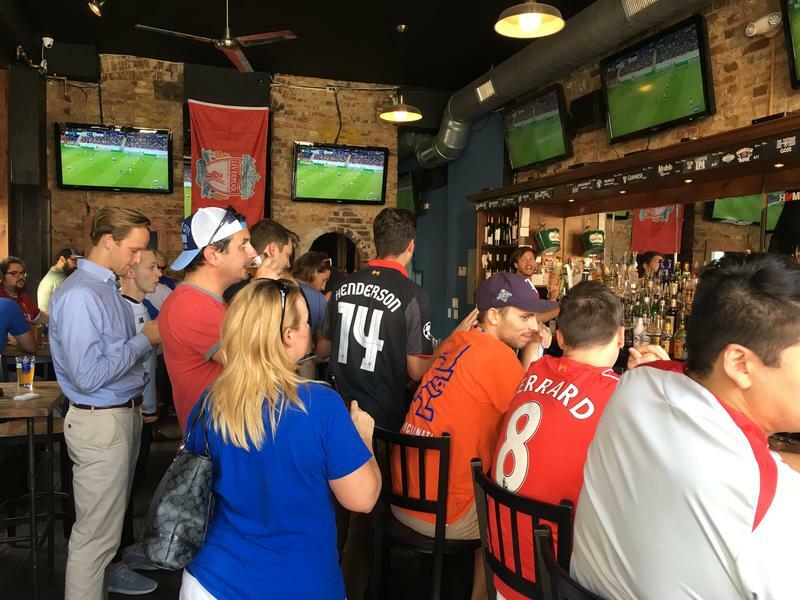 Soccer fans across central and southwest Ohio had been eagerly awaiting a match-up between Cincinnati's newest professional franchise and one of Major League Soccer's founding teams. They finally got their wish Wednesday night. Update: USL has updated its disciplinary report to clarify the reason fornthe suspension. "Misconduct is for biting an opponent during the match on April 22, 2017," says the league. Original post: FC Cincinnati's star forward will miss the entire month of May. The United Soccer League today handed down a six-game suspension to Djiby Fall for an incident in last Saturday's match. 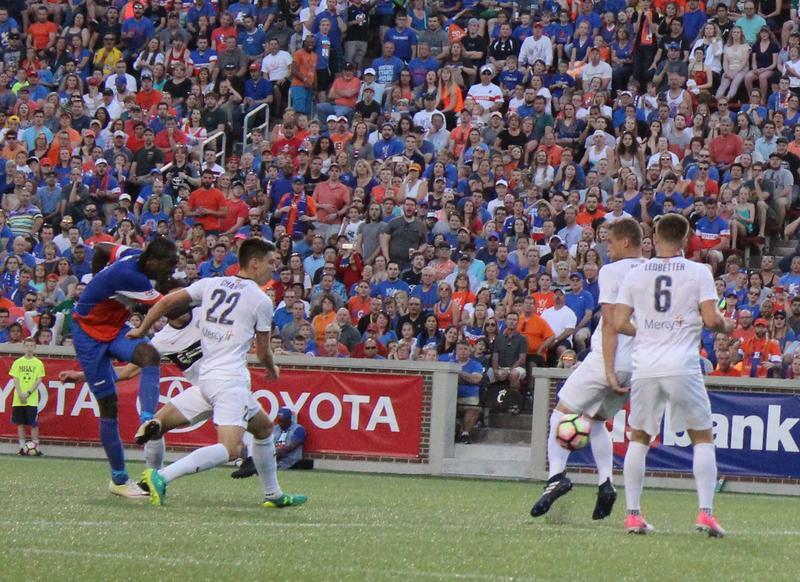 More than 23,000 fans filled Nippert Stadium Saturday night to cheer on soccer team FC Cincinnati. They didn't leave disappointed. 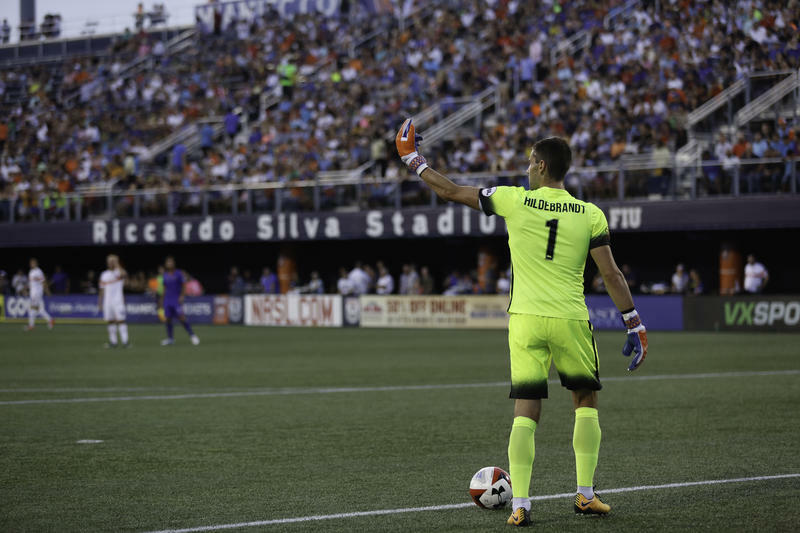 Despite opening the season with one win and two losses on the road, FC Cincinnati bested Saint Louis FC 4-0. Starting with the season opener Saturday at Charleston Battery, FC Cincinnati fans can watch 31 games on television-- home and away -- this season on one of three Sinclair Broadcasting Group stations. WSTR-TV (Channel 64) will air Saturday's game at 7 p.m., the first of 23 games on the channel. WSTR-TV will simulcast ESPN3's "USL Game of the Week" Saturday in Louisville between Cincinnati and Louisville City FC, with Cincinnati native Heather Mitts as a sidelines reporter. 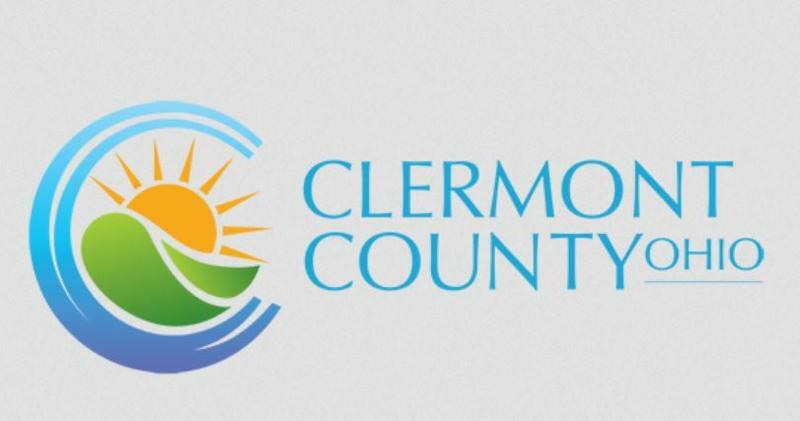 Local soccer fans have reason to celebrate this year, there's a new professional soccer team in town bearing the colors orange, blue and white. Cincinnati soccer team FC Cincinnati will host English Premier League side Crystal Palace at Nippert Stadium this summer. The game is set for July 16. Crystal Palace finished in the middle of the pack this season. Cincinnati's newest professional sports team made its inaugural debut Saturday night. 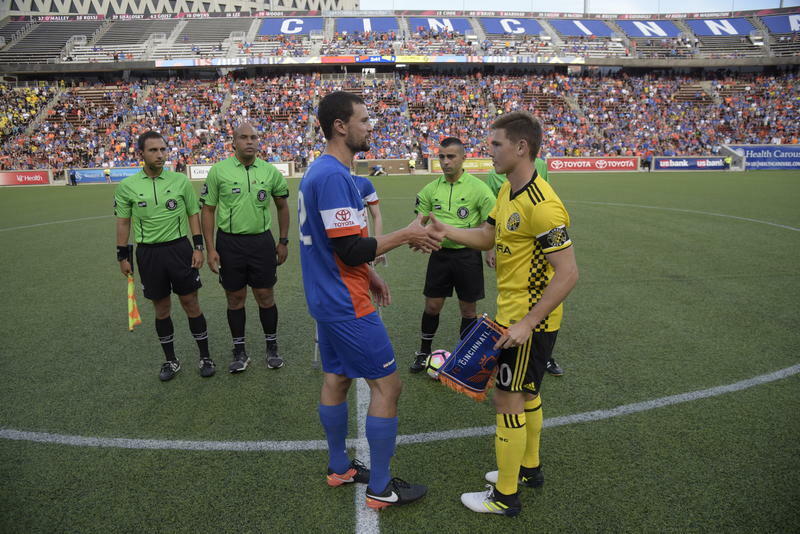 FC Cincinnati defeated Charlotte Independence 2-1 before a crowd of 14,658 at Nippert Stadium. The Queen City's newest professional sports team will be led on the field by a Cincinnati native. FC Cincinnati has signed 27-year-old defender Austin Berry. Berry, a Summit Country Day graduate, was selected in the first round of the 2012 MLS SuperDraft and was named MLS Rookie of the Year in his first season. Dayton is getting a new minor league soccer team. After hinting at a move for several months, the Cincinnati Saints are making it official. A release says the team will rebrand and play next year in Dayton in the National Premier Soccer League. A new name, logo, and playing venue are expected to be released later this month. The city's newest professional sports team is announcing its first big sponsors. 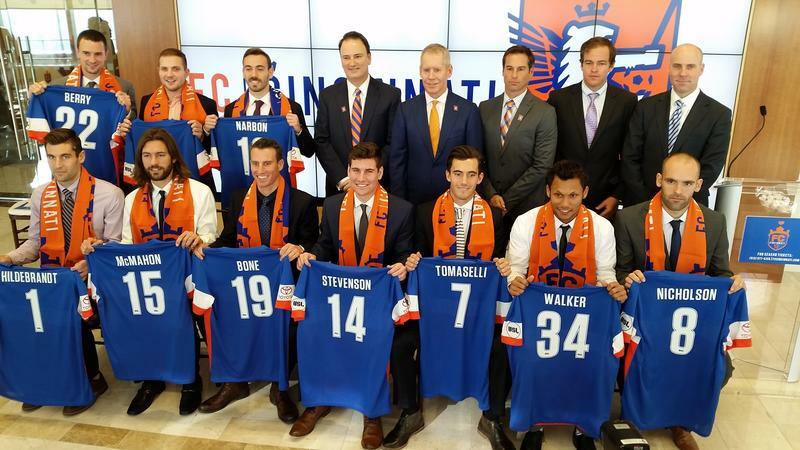 Soccer team FC Cincinnati says UC Health is coming on board as presenting sponsor and Toyota will be the team's jersey sponsor. 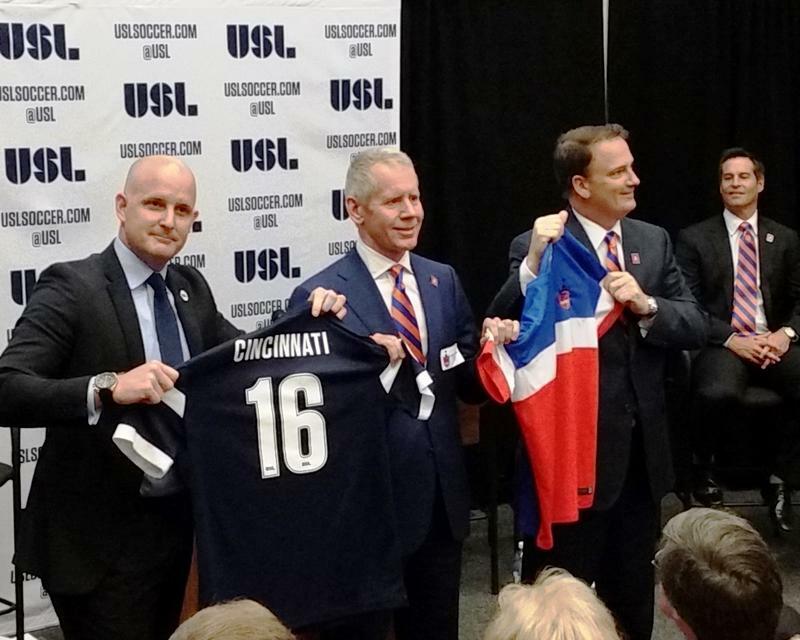 Update 8/12/15: FC Cincinnati majority owner Carl Lindner III says his is a soccer family and they're excited to be part of bringing a USL-level team to Cincinnati. 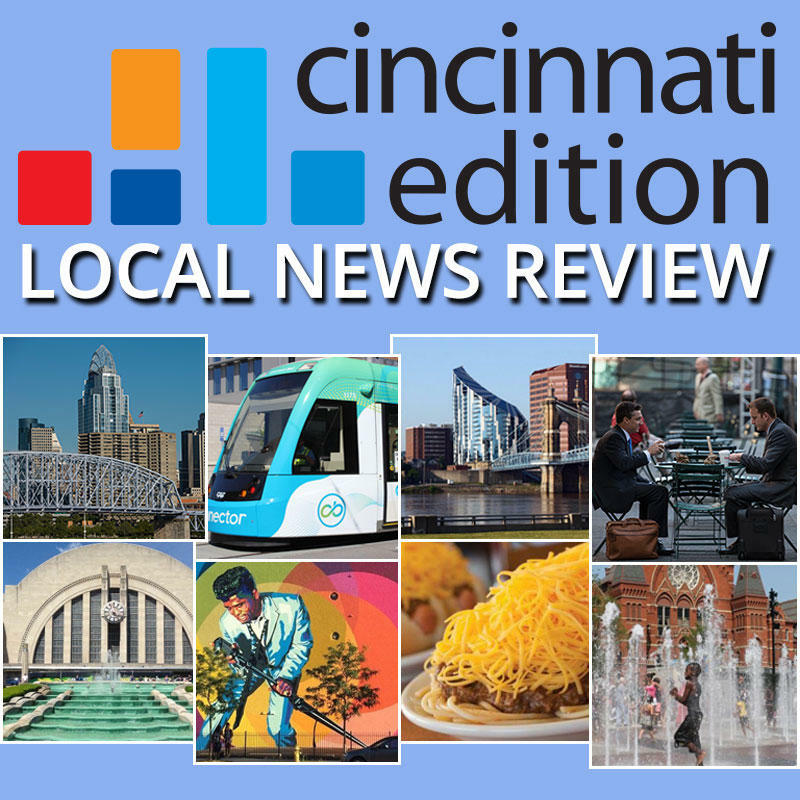 During a news conference Wednesday, Lindner pointed out Cincinnati is among the top cities in the nation when it comes to youth soccer participation. 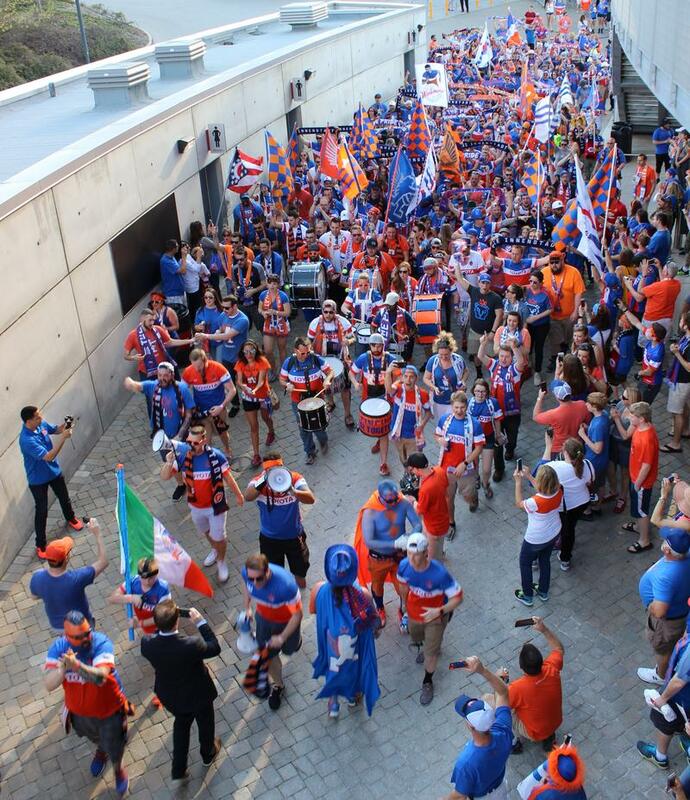 "We see soccer as sport that has tremendous growth and can unite fans of all cultures under the FC Cincinnati flag." Lindner says the opportunity to bring a USL franchise to town was just too good to pass up.